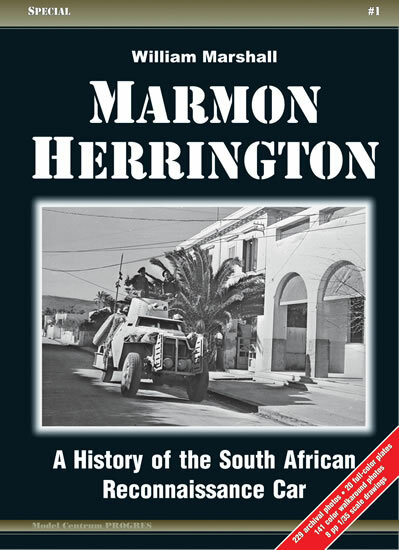 Special #1 Marmon-Herrington - A History of the South African Reconnaissance	Car. 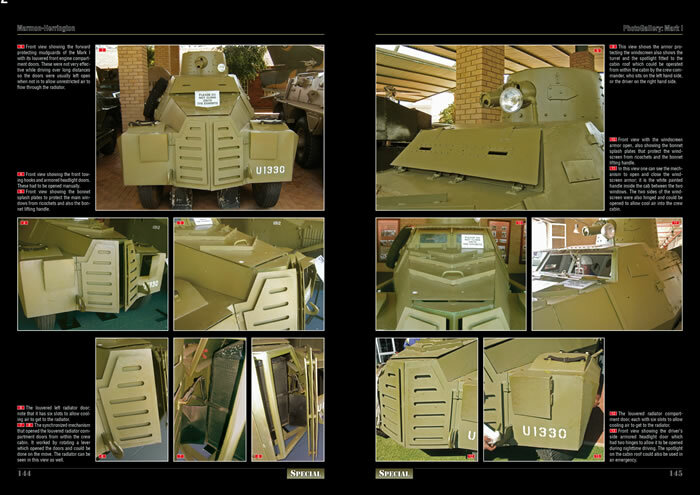 Contents: This massive hardbound volume gives an in-depth and detail review of one of the important vehicle types produced and used during W.W.II, a truly international icon, employed by South African, British, New Zealand, Polish, Free French and Greek forces in Greece, Africa and the Middle East as well as Dutch forces in the Far East. 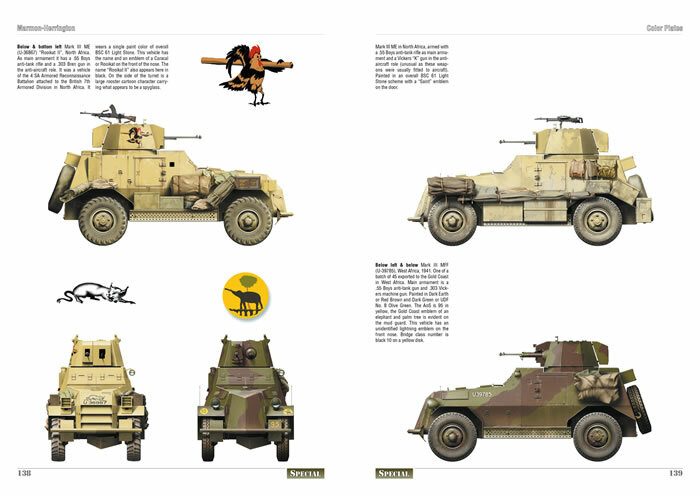 While it is of great interest to the historian and researcher, it also supplies a wealth of new information and drawings for the modeler. 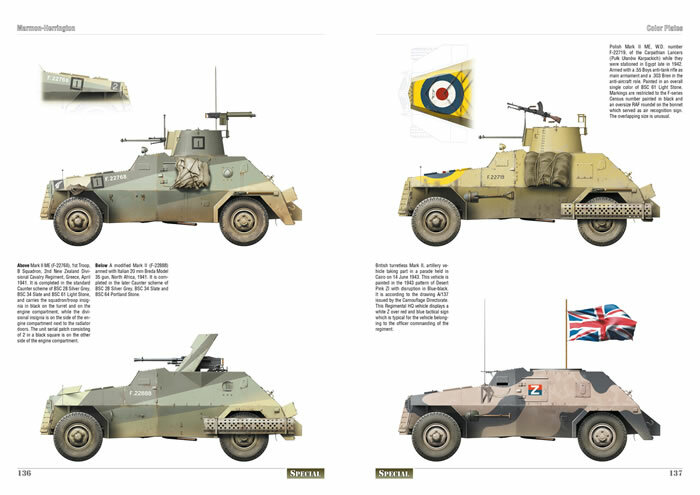 Includes: Development history, Prototype development, Technical development, Comprehensive operational history, Personal accounts, Details of vehicles used during different campaigns, War Diary information of units that used these vehicles, Post war use by various armed forces until retirement, Comprehensive camouflage & markings information. 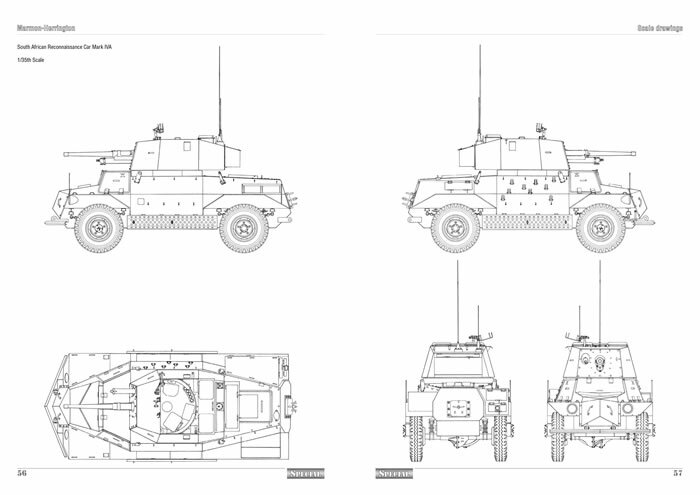 The best available reference for the forthcoming IBG Models' 1/35th scale kits. 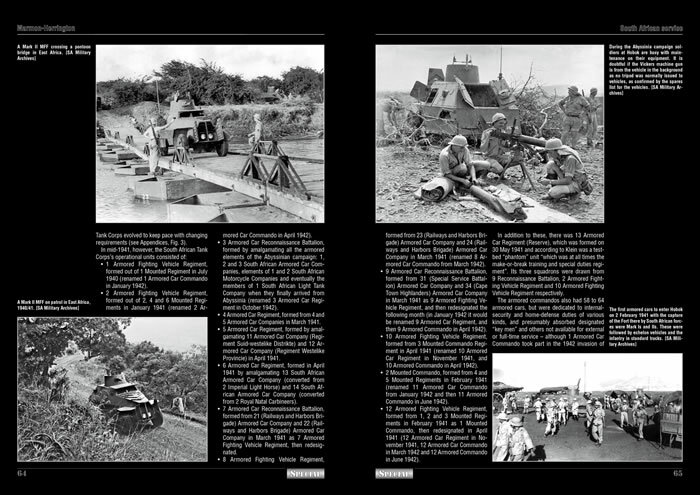 Statistics: 176 pages, 229 archival b&w photos, 141 color walkaround photos, 20 full-color plates of artwork, 8 pp 1/35th scale drawings, 7 tables, 2 diagrams, 40 color chips.